But the scarcity of kidneys for transplantation makes the alternatives — hemodialysis and peritoneal dialysis — much more common. Dialysis artificially does what healthy kidneys do. It pumps blood out of your body, cleans it and returns it to your body. Treatments are usually for three or four hours, three times a week. According to the Centers for Disease Control and Prevention, more than 10 percent of American adults – about 20 million people — have chronic kidney disease. Dr. Poggio says 600,000 are on dialysis and 100,000 are on the waiting list for a kidney transplant. Yet only 16,000 transplants are done each year. 1. Dialysis has both positives and negatives. Some of Dr. Heyka’s patients put off going on dialysis, but when they try it, they may find themselves pleasantly surprised. But the time commitment of dialysis treatments can limit a person’s independence and quality of life. In fact, a landmark 1999 study compared the health outcomes of patients on dialysis waiting for a transplant to those who had already received a new kidney. The study found the long-term mortality rate of transplant recipients was 48 to 82 percent lower than for those on dialysis. 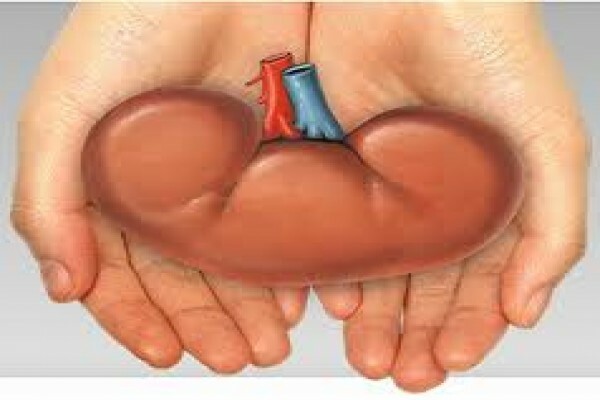 Of the 16,000 kidney transplants conducted in the U.S. every year, 30 to 40 percent come from living donors. Those transplants have greater success than transplants from cadavers. 3. Not everyone can receive a transplant. Dr. Poggio considers many factors in deciding who is a candidate for a new kidney, including other medical conditions like diabetes and heart failure. But there are ways you can improve your candidacy. 4. Choose your care wisely. Living well on dialysis depends on choosing the right location for your care. Social workers should provide support. Good communication among your healthcare providers is a key factor. And a positive atmosphere with social interaction among patients is also important. If you have kidney disease and currently on dialysis, don’t hesitate to talk to your doctor about a kidney transplant. Depending upon your individual situation, it could offer many benefits.